Did you know that falls are the number 1 leading cause of fatalities in the construction industry? Did you know that not using fall protection is the most frequently cited serious violation by OSHA? And the second most cited serious violation is portable ladders not extending 3 feet above landing? 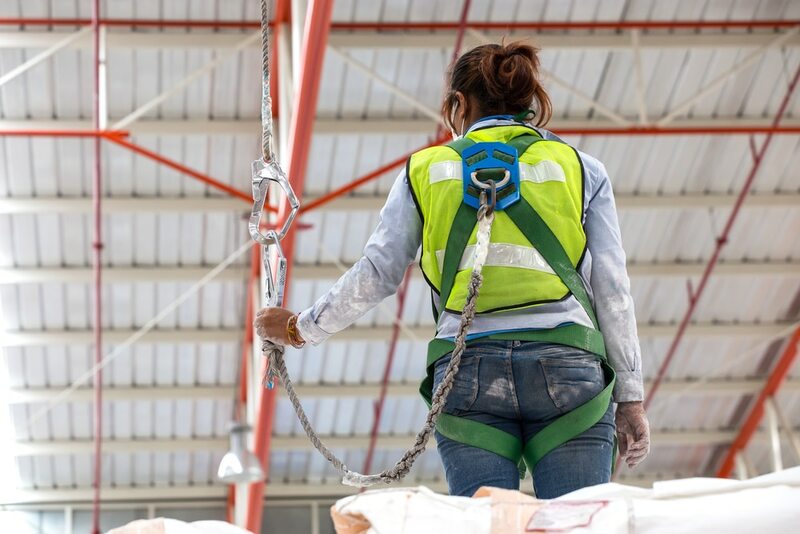 Any time an employee is working at a height of 6 feet or more in construction, and 4 feet or more in general industry applications, that worker needs to be aware of the proper fall protection practices, as well as use the proper fall protection equipment. Almost all sites have unprotected sides and edges, wall openings, floor holes, at some point during construction. If these sides and openings are not protected at your site, injuries and even death from falls or falling objects may result. Best practice dictates that fall protection becomes an integral part of the work planning process, from constructability, to systems installation, to use and maintenance. Is the employers responsibility, to provide and make sure his employees are properly trained in the proper selection, use, and maintenance of fall protection systems. Employees must know how to inspect and wear personal fall arrest system equipment, and know the requirements for anchorage points and how to tie off to them, employees must also be able to recognize the hazards associated with fall protection. The Fall Protection Safety Course is 4 hours long.